Good books and a great opportunity! Exteremly popular Sandwich-Deli in Northern California is now expanding to Southern California. This is busy and established. 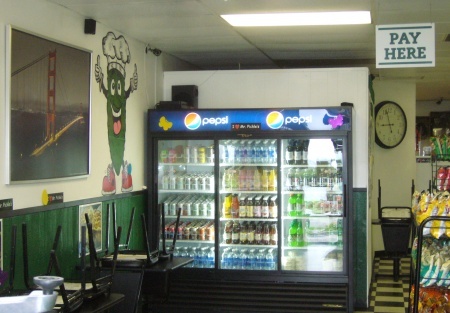 Located near the center of commerce, this deli attracts a wide crowd that will snake a line out the door at lunch time. If you've been on the sidelines, waiting for the right investment, check out this growing business. This is your opportunity to get in on the bottom floor of an exploding Franchise. With several locations in Northern California, this gem has So Cal patrons buzzing with delicious high end ingredients. There are only 3 So Cal stores, so you will have your hands on a big winner. Located at a busy Lake Forest corner, this restaurant is near several car dealerships and the lines are out the door! The bread is specially made in one of San Francisco's well known bakeries and customers line up, out the door for these sandwiches. Only open 1 year, sales are growing each month and they expect to keep rising as more and more hungry foodies discover this new Southern California concept. Don't wait. This is priced to sell and the owner is launching in So CAl. Our sandwiches are made with high quality meats, served on delicious San Francisco style breads - freshly baked, we offer a choice of five different cheeses and also include "everything" (mayo, mustard, our special recipe garlic sauce, lettuce, tomato, pickles, peppers, onions). When our customers walk in and smell the fresh baked bread, have a big bite of their 'made to order' sandwich made with our addictive garlic sauce, and are handed a warm cookie to complete their meal - how can they not LOVE us?